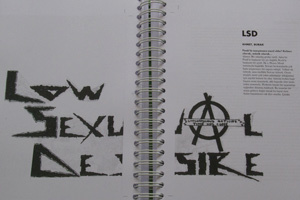 Edited by Sezgin Boynik and Tolga GŸldallõ, published and released by BAS in November 2007, the book is a huge and so far unique history of punk in Turkey. It includes interviews with local bands and other figures from the period, over a hundred visuals and a complementary CD. The 2007 edition is out of print. After the failure of negotiations with the editors, the publisher started to circulate photocopied bootlegs of their own original edition.